With two new trimlines, the Skoda Octavia lineup is further expanding providing buyers more choices to go for. The SE Sport and the SE Technology are the two new additions available in UK now. The models are priced at £19,925 and £19,990 respectively, each with its distinct set of features and geared towards the requirement of specific individuals. The Skoda Octavia SE Sport is powered by a 1.4-liter TSI petrol engine. Another alternative uses a 1.6-liter TDI diesel engine. The base model uses a manual transmission system. Buyers do have the choice to upgrade the model with a DSG automatic gearbox. 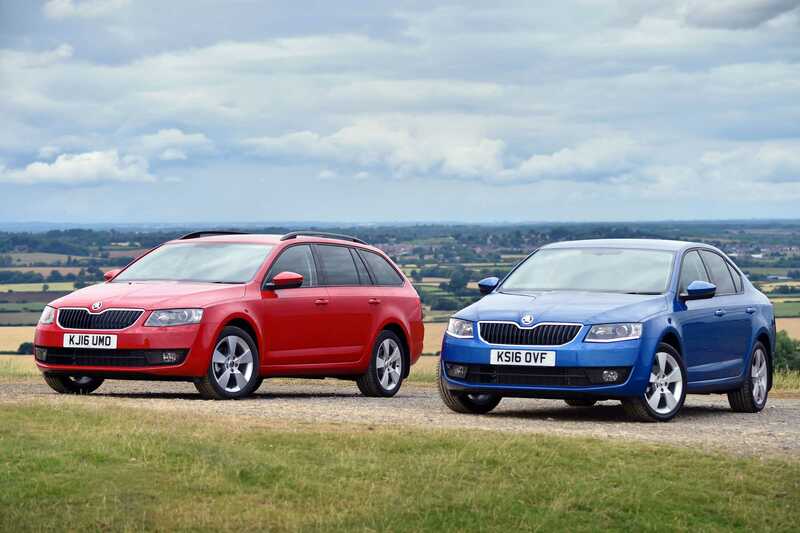 Skoda offers the SE Sport as a hatchback or a spacious Estate variant for those who need that extra headroom. The standard kit provided with the model provides LED front and rear lights, LED daytime running lights with xenon headlamps and 17-inch Denom alloy wheels. Staying true to the name, the SE Sport is equipped with comfortable sports seats on the inside and has a sporty steering wheel. The rear view mirror has auto dimming functionality besides other basic features including satellite navigation, cruise control and Wifi. While the base price of the SE Sport is slightly higher than the SE model, the manufacturers claim that they offer more value for the money by bundling a lot of features and components to justify the pricing. The Skoda Octavia SE Technology is the second addition to the lineup which is the replacement for the business model. The brand provides it as a hatchback or an Estate based on your preference. The base model of the SE Technology uses TDI Greenline III with 108 horsepower while the highest is the 2.0-liter TDI engine with 148 horsepower. Both manual and automatic transmission systems are available to choose from. Features provided in the car include adaptive cruise control, satellite navigation, rear parking sensors, Wifi, automatic lights, wipers, chrome pack and double-sided boot cover. Skoda confirmed that the slight price increase for the Octavia SE Technology has been justified with a revamped kit worth £1,155. It makes the purchase a favorable investment for buyers as it may cost quite a lot of purchase all these separately and integrate them in any Octavia model. With these enticing options and great value for money, the new range of Octavia models are expected to do well in the UK region. We can confirm the same once the official launch takes place.